Brand Names Mattresses For LESS! Enjoy a good night sleep from the national brands we carry. 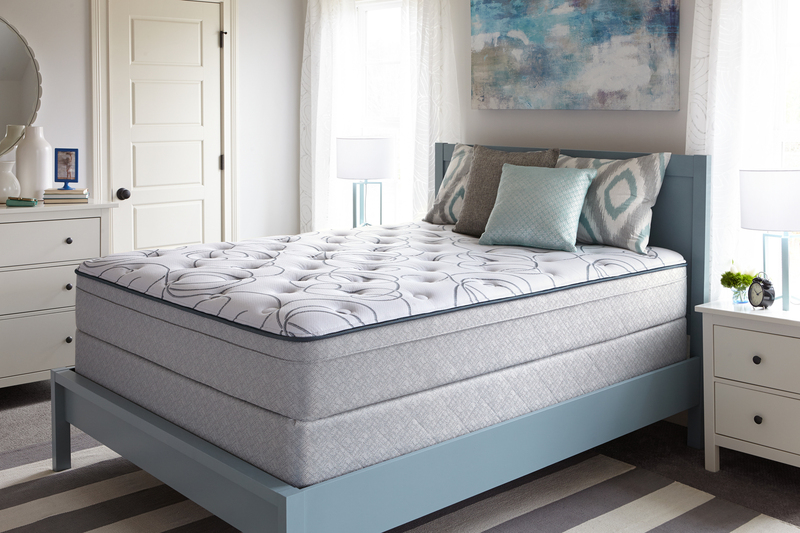 At our Waterbury, Wallingford, and Newington locations, we carry Sealy, Sealy Posturepedic, Therapedic, Eastman House, Sleep Comfort International by Kingsdown, Solstice Sleep Products by Jamison, Eclipse, Body Fit, AmeriMattress, and many more. At Mattress For Less, choose from the very best mattresses that support and comfort you, ensuring restful sleep each and every night. Our low prices are always guaranteed on any of our products. 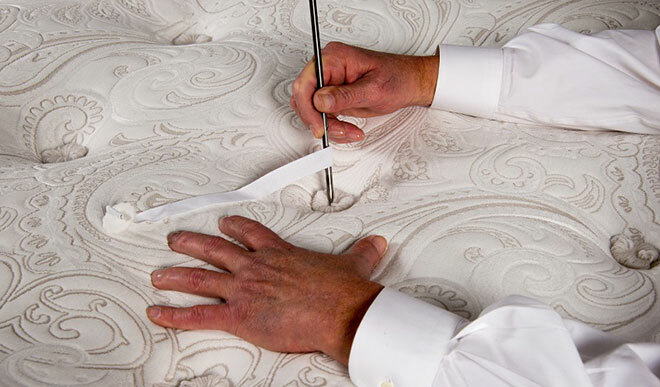 Traditional king-size beds measure 76 inches wide by 80 inches long. 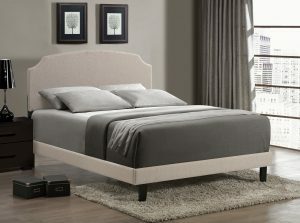 California king-size beds measure 72 inches wide by 84 inches long. Sharing a king-size bed with another person affords one the same room as sleeping alone in a twin-size bed. The most popular mattress size around, the queen mattress fits best in a master bedroom that’s at least 10 x 10 square feet. At 60 inches wide and 80 inches long, the queen offers plenty of space for couples or individuals who like having extra room to move around in bed. The dimensions of full-size beds are 54 inches wide by 75 inches long. They are sometimes called double beds. Before king and queen sizes existed, most couples slept on full-size beds. These beds are ideal for pre-teens or teens who are shorter than 65 inches. There are so many ways to stay supported, and the right foundation is the best way to keep your mattress in great shape for years to come. Find the foundation that best matches your mattress and your space needs. A low profile foundation can allow for easier access, especially when paired with a thicker mattress style. All king−size mattresses comes with split boxsprings for easier maneuverability. In these cases, two long twin box springs are used. If you are moving a queen−sized mattress into a small living space, you may also require a split foundation (“custom queen”). It is strongly recommended that you purchase a boxspring/foundation that is specially designed to match your new mattress. A mattress and foundation are engineered to work together as a set, and the foundation takes a lot of the nightly wear and tear, and contributes to the bed’s overall comfort and support. Putting a new mattress on an old foundation, pairing it with a foundation it wasn’t designed to work with, or adding a board between the mattress and foundation will impede comfort and reduce the useful life of your new mattress. It may also affect the manufacturer’s warranty. Whether you’re watching a movie or responding to work e-mails, and adjustable base transforms your mattress so you can work, relax and play. If sinus pressure, back pain or a snoring partner is keeping you awake, simply adjust your bed with the wireless remote control. Based on your preference, you can raise or lower the base for premium lumbar support, or relax even deeper with a massage feature for your head and lower body. Our warehouse is attached to the store, so you can get your mattress the same day you purchase! Call or stop in today to one of our three Connecticut locations, Newington, Wallingford or Waterbury to choose from the best and most affordable mattress selection.